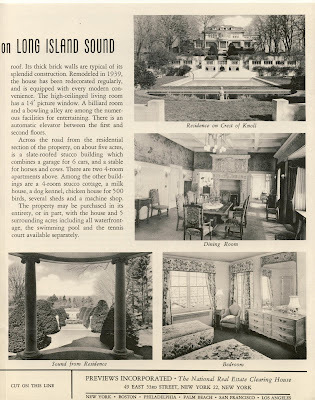 A brochure advertising the residence of George Michael Cohan (of enormous Broadway fame), built c. 1905 in Kings Point. 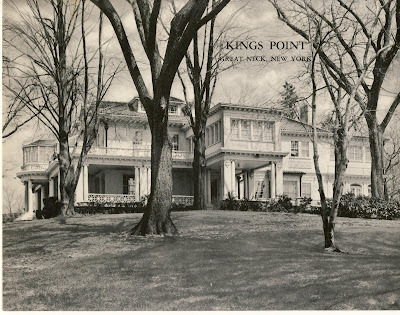 Cohan's associate Sam Harris had a residence in Kings Point as well. 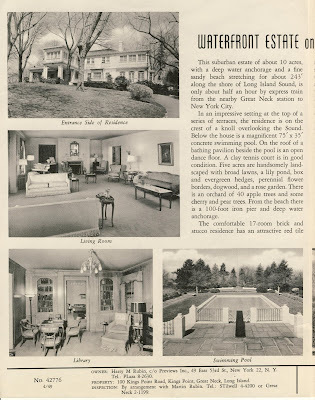 The house has undergone significant alterations over the years and does not look much like Cohan would remember it today. 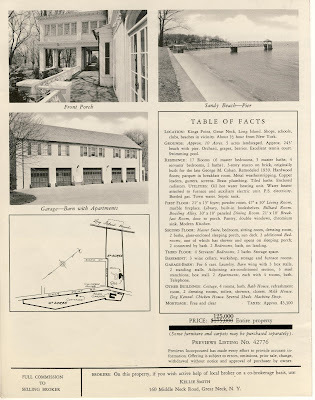 Click HERE to see the house on google earth.